Do you like Extreme Moto GP Races? Share it with your friends. 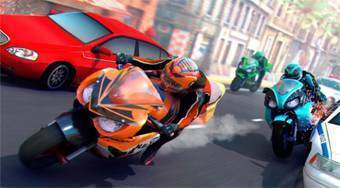 Extreme Moto GP Races is a very nice 3D racing game, whose story takes place in the streets of the American city of Miami. Sit on a racing motorbike, drive through the road in dense traffic, avoid cars, collect coins, bonuses, check checkpoints in time and try to get as far as you can. Buy upgrades as well as new and stronger motorbikes.